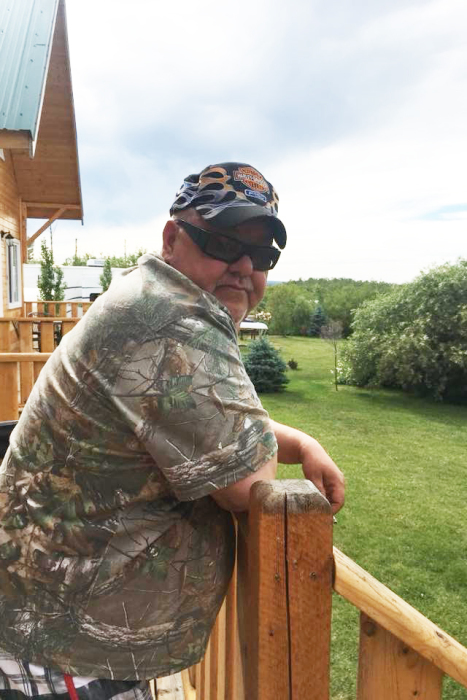 Mr. Michael Reginald Nimco of Eckville, passed away suddenly at the Peter Lougheed Centre in Calgary on Friday, October 26, 2018 at the age of 55 years. Michael was born on May 6, 1963 in Athabasca, Alberta to Esma and Reg Nimco. Michael was the second child of four. He is survived by his loving wife, Diane Sundmark; his wonderful son Sterling Nimco of Colinton, AB; sister Cindy (Alfred) Hamer of Fort McMurray, AB; brother Perry (Cindy Keiss) Nimco of Prince George, BC; sister Peggy (Dwayne) Morrill of Athabasca, AB; as well as nephew Chad (Becca and Kaydence) Nimco of Wembley, AB; niece Katelin Nimco of Fort McMurray, AB; niece Larissa (Tom Bell) Nimco of Spruce Grove, AB; nephew Cory (Kendra and Damian) Nimco of Taber, AB; and Melina Morrill of Athabasca. A Celebration of Life will be held at 1:00 PM on Saturday, November 10, 2018 at the Athabasca Seniors Centre. Those who wish, memorial donations may be made to the Heart and Stroke Foundation, 5241 Calgary Trail NW #144, Edmonton, Alberta, T6H 5G8.